from "New Year's Morning" by Helen Hunt Jackson, 1830-1885 (This poem, and many others, can be found at www.theotherpages.org). I love this! The worries of the prior day can be erased by a good night's sleep, and every morning is a fresh start! I had never heard of Helen Hunt Jackson prior to finding this one poem, but, it seems that she was quite a prolific writer! 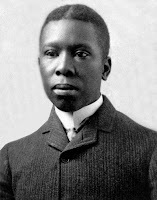 Jackson's novel, Ramona [F JAC], was first published in 1884 and is still in print! I mentioned Helen Hunt Jackson to my friend, Muriel, here's what she had to say, "I remember learning "October's Bright Blue Weather" in third grade. Of course, now all I can remember is standing at the front of the class and reciting that title and 'by Helen Hunt Jackson.' None of the poem remained in my brain. It did sound familiar once I looked it up, though!" It seems to me that Helen Hunt Jackson will be a future research project--the little bit I've read about her is fascinating! Most cultures have special traditions for celebrating the new year. I suppose the American tradition is to sit around the day after New Year's eve parties and recuperate! 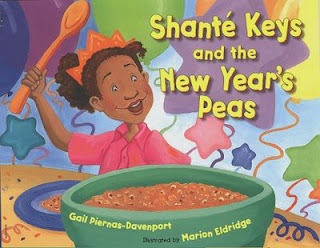 Shante Keys and the New Year's Peas by Gail Piernas-Davenport, illustrated by Marion Eldridge [JP PIE], is a new picture book that introduces children to the various traditions celebrated in a multi-ethnic neighborhood on the New Year's holiday. The reader is introduced to the African-American dish, hoppin' John, by a little girl who scours the neighborhood for a supply of black-eyed peas. The book concludes with a recipe for those who wish to try the lucky new year's dish! 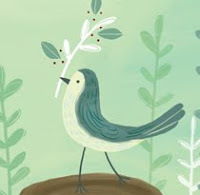 The illustrator, Marion Eldridge, lives just over the border in MA, and is also the illustrator of The Sparrow's Easter Song by Michelle Medlock Adams [JP ADA]. Be sure to visit Marion's website to view her delightful illustrations! 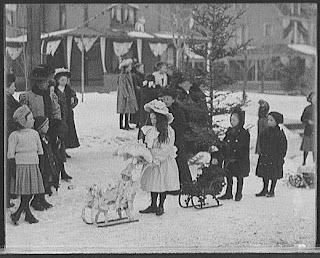 For more on New Year's traditions, visit this site. There's Something Not Right About Kissing Under a Poisonous Plant! in the lead-up to Christmas? Everyone associates mistletoe with holiday kisses, but did you know that the mistletoe is a parasite that can kill its host, and that it contains viscotoxins that are poisonous? Watch out, now that the holiday is over, during your de-decorating activities, especially if there are children in the house! Besides keeping your children safe, you also want to think about your pets. The ASPCA issues a warning every year about the dangers of holiday decorations. Be extra careful in taking your decorations down--mistletoe berries may fall off during removal and roll where a pet can find and ingest them. More than you ever wanted to know about mistletoe can be found at a British site called The Mistletoe Pages. I especially enjoyed viewing the mistletoe traditions page that is illustrated with pictures of old postcards. If you want to keep your home safe and free of plant toxins throughout the year, you may want to consult Baby-Safe Houseplants & Cut Flowers: A Guide to Keeping Children and Plants Safely under the Same Roof by John I. Alber [615.952 ALB]. This presents an interesting question for the reader, Why does the author see herself in a mask? Does she practice adjusting her mask so that she can be ready to face different people? Does the mask allow for silence whereas her "true" self would be loquacious? If you'd like to read the complete poem, or listen to Davis read it aloud, click here. Here in NH we're in the middle of our fourth snowstorm in 10 days! It's hard to believe that winter only officially arrives on Saturday! From then on, the days will start to get longer again. Hallelujah! If you've forgotten your elementary school science, here's an explanation of the sun's position, and even more here about the cultural aspects of the solstice. The Winter Solstice by Ellen Jackson [J 394.261 JAC] is a brief overview that was written for children, but it provides enough information for a clueless adult, like me! In Salem, at America's Stonehenge, formerly known as "Mystery Hill," there will be a winter solstice celebration. It starts at 7:30 in the morning, so I'm not going to be there! America's Stonehenge would be a fabulous place to snowshoe, and I see that they have rentals available, so file that bit of information away for some day when you're bored with staying inside! in 1843, Charles Dickens' A Christmas Carol was first published. The first edition of six thousand copies sold out on the first day! 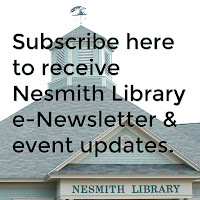 There are many versions of A Christmas Carol at the Nesmith Library--the standard version in the fiction section in both the adult and juvenile collections [DIC or J DIC], an audio [AB/CD 791.447 DIC], or the filmed versions. We have several film adaptations. Many people prefer George C. Scott's version (a made for tv film from 1984) for its faithfulness to the original text, but I like the 1951 version with Alastair Sim [VIDEO CHR], probably because I saw it so often over the years. I use the term "adaptation" loosely when I include The Muppet Christmas Carol [J VIDEO or J DVD MUP]. I can't say enough about the Muppets version--hysterical, and yet, strangely poignant! We also have Carolyn's favorite, Mr. Magoo's Christmas Carol [J DVD MRM]! One of my personal favorite "adaptations" is Blackadder's Christmas Carol, a tv special episode first aired in 1988. If you're not familiar with Blackadder, he is a character played by Rowan Atkinson, a.k.a. Mr. Bean. We don't have a copy in our collection, but if you go to YouTube and type in "Blackadder's Christmas Carol," you can view it piecemeal. If you've got nothing to do between now and Christmas, you may want to prepare a Dickens style dinner--goose and all. I have no idea where you can purchase a goose, but I'm sure a little internet searching will turn up something. Visit this site for preparation instructions. So go for it, and remember, there's nobody keeping score. The hamster's wheel of trends is spinning so fast that the taste Nazis could not possibly keep track of your successes and failures. 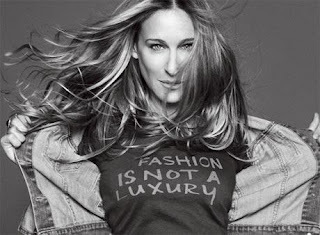 They are all too busy working on their own looks. I've covered writing for children before, but I found a short, succinct, lesson in writing a picture book, at a blog called Revision Notes that I just have to share. The lesson is based upon the holiday song, "Frosty the Snowman," and is called, Frosty’s Top 6 Writing Tips. Take a look! It's quite clever, and makes some valid points! For more about writing for children, Nancy Lamb's, The Writers Guide to Crafting Stories for Children [808.068 LAM] is full of good advice. 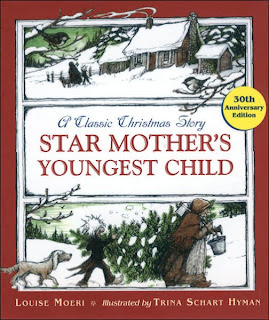 Being it's the holiday time of year, I want to mention my all-time favorite book, Star Mother's Youngest Child by Louise Moeri, and illustrated by the late Trina Schart Hyman [JP MOE GREEN DOT]. This little book never fails to warm my heart. And, although I've read many books over the years, this children's book, remains my favorite. I can't say that any book has changed my life, but, for some, a book can have a profound effect on life. The Book that Changed My Life: 71 Remarkable Writers Celebrate the Books that Matter Most to Them [028.8 BOO] provides an insight into the effect reading can have on people. It is nice to see that people care. Caring was definitely evident this morning when "Windham Helping Hands" volunteers came to pick up some of the gifts that were left under the "Giving Tree." An act of kindness is so simple and yet it is a gift! "Simple Gifts" is an old Shaker hymn that I was reminded of today. This afternoon snow is expected, and on Saturday a nor'easter is coming our way! Winter hasn't even officially arrived yet--it's going to be a long winter, methinks. But, skiers will rejoice! Kids will dust off their sleds! Winter is just another opportunity for exercise and fun! Peter Stark's Winter Adventure: A Complete Guide to Winter Sports [796.9 STA] has a plethora of different activities, from skijoring to winter camping in a snow house. Okay, I know you're curious, so I'll tell you what skijoring is--a human on skis being pulled by a dog (have I mentioned before how dimwitted dogs are?). Go to www.skijornow.com/skijornowhome.html and click on "gallery" to get a view of this sport. Don't forget to visit our magazine racks for Skiing [MAG SKI], Snowboarder [YA MAG SNO], and Outside [MAG OUT] magazines. I hope you all have hats, gloves, and boots ready! A contest to win a basket of books for your little ones or to donate to some charity during this season of giving, is nearly over at A Readable Feast, a blog that often features children's books and reviews (and recipes, too). Hurry--today's the last day! A library user asked if we had a collection of the promotional materials of the candidates for the upcoming presidential primary. The answer is no, but if you want to learn more about the candidates for president, there are many places to look online. One of the most comprehensive is Vote-Smart. If you've driven around town and seen the signs "Mark Klein for President," and wondered who in the world is Mark Klein?, this site will answer that question! Yesterday, All Things Considered had a segment on politicians in Milford, NH. Give a listen to find out how your fellow New Hampshirites may be voting. 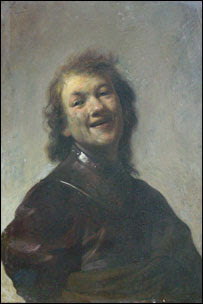 I found an impressive new online magazine for lovers of art, Art Knowledge News. It describes itself as "keeping you in touch with the 'world of art.'" You can subscribe for free. A little while back I wrote about Christmas carols and the health benefits of singing. This is the week that has been designated as "Sing for Your Heart Week." Actually, it's a fundraiser, and in the U.K. no less, but any excuse to sing is welcomed as far as I'm concerned! Right now, due to the weather, my favorite seasonal songs are "I've Got My Love to Keep Me Warm" sung by Dean Martin, and "Baby It's Cold Outside," sung delightfully by Zooey Deschanel. Zooey can be found on the Elf soundtrack album [CD SOUNDTRACK ELF] or in the film [DVD ELF]. What's With the Dog Books? I guess you could say it all started with John Grogan's Marley & Me: Life and Love with the World's Worst Dog, which was published in 2005 [636.752 GRO, also in AB/CD and LP]. Others seemed to love life with the world's worst dog, too. Marley was on the bestseller lists for months. Grogan (probably at the urging of his publisher), managed to take the one book and spin it off to several others--there's the children's book, Marley: A Dog Like No Other [J 636.752 GRO, also in audio], and a picture book for even younger kids, Bad Dog, Marley! [JP GRO]. In all, we have 6 versions/formats of the Marley story on our shelves. Now that's marketing genius! 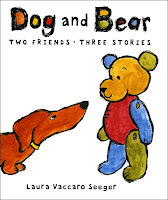 Dog and Bear: Two Friends, Three Stories by Laura Vaccaro Seeger [JP SEE], and the practical, May I Pet Your Dog? : The How-to Guide for Kids Meeting Dogs (and Dogs Meeting Kids), by Stephanie Calmenson [JP CAL]. I think enough is enough, don't you? You'll never find a cat training book on the bestseller list. You know why? Because cats can't be trained to do anything they don't want to do! Ya gotta love that kitty spirit! The Culture of Calamity: Disaster and the Making of Modern America by Kevin Rozario [973 ROZ] was recently added to our collection. This from the jacket flap: "...Kevin Rozario reveals the role that calamity--and our abiding fascination with it--has played in the development of this nation." Some of you will find the history presented in the book fascinating, others, I'm sure, will find it deeply disturbing that disasters can present golden opportunities for big business. Speaking of calamity--when did you last review your disaster plans? I came across a blog that deals primarily with genealogy. Planning for a disaster was covered in an effort to preserve what is of primary importance (besides the lives of members) in many families--photos and artifacts. 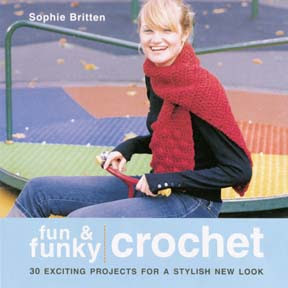 Take a look, it contains a lot of useful information. Many of us have heart wrenching memories of the photos and film clips of pets that were separated from their owners in the aftermath of Hurricane Katrina. Think about your pets in your disaster planning. The ASPCA has a whole page of resource material. Be prepared and stay safe, you never know what can happen! 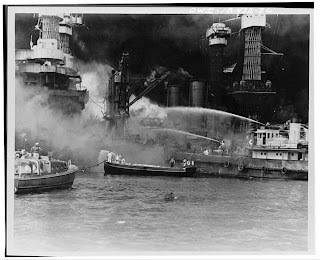 Today is the anniversary of the bombing of Pearl Harbor December 7, 1941. The attack of its naval fleet precipitated the United States' entry into World War II. You can read the rest of the poem in Poets of World War II edited by Harvey Shapiro [811.52 POE]. Too Many Ornaments on Our Tree! 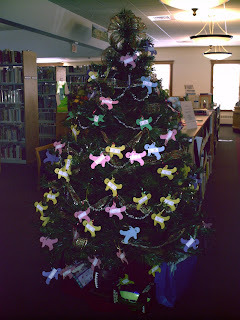 The Library is hosting a "Giving Tree" once again this year. The sponsoring organizations are Windham Helping Hands and F.L.O.W., our friends of the library group. The tree is overflowing with ornaments containing the holiday wishes of some of our neighbors' families. Won't you help? We have more ornaments than space on the tree, and, there's only a week left before the gifts are returned to the library for distribution! It breaks my heart to see wishes such as hair elastics for a 12 year-old girl, or a 1,000 piece jigsaw puzzle for a senior citizen, or NH winter essentials such as boots for children of all ages. Won't you help? Surely your child won't miss one less present under the tree. You can select an ornament and purchase the requested item, or you can make a donation to Windham Helping Hands. Items and checks are collected here at the library. With these organizations you can send a gift in honor of a friend or loved one. I'm beyond needing a bunch of gifts each year, I would prefer the money be used to purchase a flock of ducks, or a water purifier, or a pound of nails in my name. You may have noticed the link for The Hunger Site on the right hand side of the blog page. If you click on it daily, food will be donated by sponsoring businesses and organizations. It doesn't cost you a penny! Several years ago I wrote a book for kids on money--money history, money trivia, explanations of ATM machines, and more. It's called The Everything Kids' Money Book [J 332.4 MAY]. I guess if you write a book, some people think you're an expert. Ha! It ain't so! But, I'm willing to go along with people's delusions! I was recently approached by a writer for NBC affiliate websites for advice on teaching kids about money. She sent me a list of questions which I answered as best I could, and she used some of my answers in her article, Money Teaches Kids About Wants, Needs. A lot of what I said was simply common sense. What wasn't common sense was me looking at all the things I did wrong with my kids and speculating about how I would have taught my kids if I had a "do-over." I'm a strong believer in altruism and in giving back. Why Good Things Happen to Good People: The Exciting New Research That Proves the Link between Doing Good and Living a Longer, Healthier, Happier Life by Stephen Post [177.7 POS], may provide you with even more reasons for doing good and sharing your wealth. We had our first snowstorm this winter. It wasn't too bad, just wet and heavy for those of us who have to shovel. Kids should be able to cobble together a snowman with the amount of snow that fell. There's a new book that deals exclusively with snowmen--The History of the Snowman: From the Age Ice to the Flea Market by Bob Eckstein [736.94 ECK]. It's full of interesting snowman trivia from the number of snowflakes in a snowman to the number of people who have the last name "Snowman." 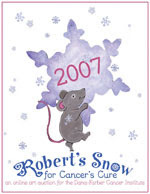 I took a look at Eckstein's website, Today's Snowman, and found it to be a great supplement to the book. The "personal ads" are a particular favorite! Stone walls have long been a feature of New England landscapes. But, as Robert Frost said, "Something there is that doesn't love a wall." It seems now that it is greed that doesn't love a wall. As reported on NPR this morning, people are stealing the stones on vacant properties and selling them on Craig's List! If you have a stone wall on your property, you may wish to repair it so that it doesn't invite pilfering. [Pilfering is defined as stealing in small quantities. I can imagine that anyone who steals stones, can't be doing it in large quantities!] Alan and Gill Bridgewater's Stonework: Building Rock Gardens, Walks, Walls, and Ornaments [693.1 BRI] or the video, Stonemasonry for the Beginner [721 STO] may have helpful hints. The following recommendation is only tangentially related to stone walls, Andy Goldsworthy: Rivers and Tides: Working with Time [DVD 730.92 RIV]. Goldsworthy is a artist who works with natural materials in natural settings. 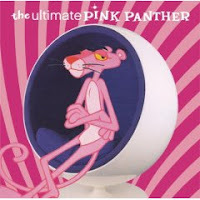 The DVD is fascinating and a delight for the eye! Ghost [VIDEO GHO] staring Patrick Swayze and Demi Moore. Whoopi Goldberg won a "Best Supporting Actress" Oscar for her role as the medium. The Ghost and Mrs. Muir [DVD GHO]. An oldie but goodie (1947) in which Rex Harrison plays a ghost, and Gene Tierney is the woman he attempts to spook. Ghostbusters [VIDEO GHO]--"Who ya gonna call?" Hamlet [DVD 822.33 SHA]. This is the BBC version of Shakespeare's classic play. Volver [DVD VOL], a 2007 Academy Award nominee for "Best Foreign Film," starring Penelope Cruz, is a strangely amusing film involving a murder, a family of women, and a ghost. This is the last year for the Searles Castle Christmas Floral Showcase. The showcase has been a Windham tradition for 15 years. If you've missed it for the past 14, there are two more weekends (11/3-5 and 11/9-11) to catch it! Imagine this beautiful room full of holiday lights and decorations! Searles Castle was built over a period of ten years--1905-1915. At the time it was estimated to have cost $1,250,000. Take that figure and multiply it by 20.70 and you'll get the cost in 2006 dollars (based on the Consumer Price Index)! Visit this site to do your own cost calculations. 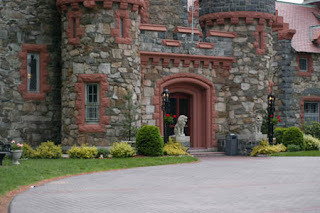 To learn more about Searles Castle and the man who had it built, read Edward Francis Searles and His Castle in Windham by Mary Lee Underhill [974.2 WIN]. It's fascinating story, and, it took place in our own backyard! for a fabulous season! 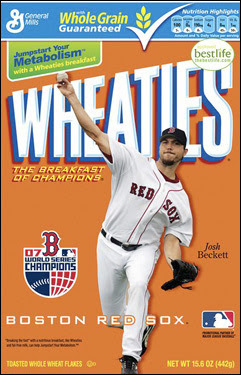 Congratulations on winning the 2007 World Series! I'm thankful the Sox swept the Rockies--I don't think I could have stayed up after midnight one more night! So, this will be the last baseball blog of the season. I promise not to write anything about baseball until at least March. The funny thing is, I'm not really a baseball fan, it's just that baseball is such a part of our national identity, I can't possibly ignore it! One thing I noticed about the playoffs, or perhaps it was just the camera work of the Fox network focusing on the faces of the players, there's a whole lotta of spitting goin' on! And gum chewing! Sorry, guys, I didn't mean to rain on your parade! I did enjoy the bubble gum prank played on Dice-K by Ortiz and Crisp. Did you see it? Someone placed a blown bubble on Dice-K's hat. He didn't notice and was quite surprised when it popped! Dice-K realized he'd been pranked and he loved it! What a fun bunch of guys. I hope the Sox enjoy their break. Come back in March--especially you, Mike Lowell! A Whole Lotta Politics Goin' On! The presidential election is a little more than one year away. If you don't like politics, and all it involves, I'd suggest moving out of New Hampshire for the next 12 months! NH's Secretary of State, William M. Gardner has yet to announce the date of NH's presidential primary. He's waiting until the rest of the states finish with their "jockeying" for a influential position. It looks NH's date may be 1/9, but we'll have to wait for the official announcement before marking our calendars. 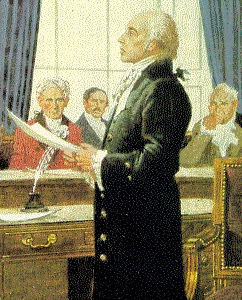 For a look at NH's primary history, visit the NH Political Library housed at the NH State Library in Concord. So what are you looking for in a president? Here's some information on helping you in judging a candidate. For a fun children's book that takes a look at presidents of the past, pick up Lives of the Presidents: Fame, Shame, and What the Neighbors Thought by Kathleen Krull [J 920 KRU]. I was listening to a program on chocolate and one of the bars being sampled was made with chili peppers! I've grown to like moderately hot dishes over the years. And, if I weren't so lazy, I'd probably experiment with cooking with chilis, but I prefer to have someone else prepare the hot stuff for me. It can actually be dangerous preparing a meal with fresh chili peppers due to a substance called capsaicin that is concentrated in the membranes. Wear rubber gloves when you work with them, and NEVER EVER rub your eyes while working with peppers! If you're intrigued by chili peppers, this book can't be beat: The Chile Pepper encyclopedia: Everything You'll Ever Need to Know About Hot Peppers with More Than 100 Recipes by Dave DeWitt [641.6384 DEW]. 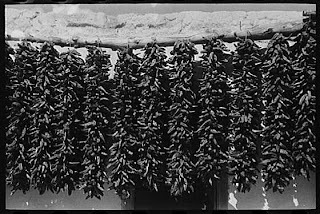 Hot peppers have developed their own mystique and lore, which you can explore in Rooted in America: Foodlore of Popular Fruits and Vegetables [398 ROO]. And who doesn't love a big bowl of hot chili on a cold winter's day? 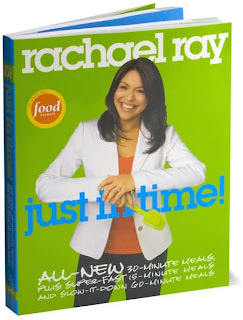 Browse our cookbooks for a variety of recipes. While you're cooking up a batch, listen to the Red Hot Chili Peppers. We have Stadium Arcadium [CD ROCK RED] in our collection. 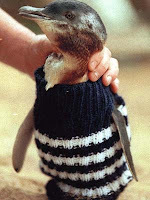 Then, treat your kids to a bedtime story: Armadilly Chili by Helen Ketteman [JP KEL].